In principle, I am rather fond of tapas restaurants. I like trying a bit of everything, so am ideally suited to the whole sharing plate principle. I also like bars, a lot. And sherry, growing to like that one too. So technically, a tapas bar essentially combines all of these factors in perfect unison, so it would make sense that I would in principle, love them. Which would be true if I wasn't fighting with a horde of others for somewhere to sit and eat my food. 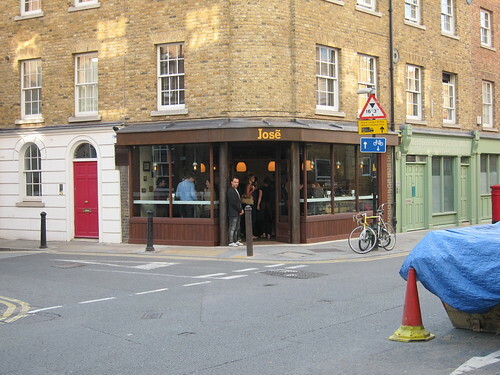 I think my annoyance is perfectly represented by Jose on Bermondsey street. I love the food there. Each mouthful from almost anything you eat there explodes on your tongue. The jamon melts on your tongue, packing your mouth with sweet meaty flavours. The tortilla is tender yet reassuringly eggy. The croquetas are like nothing else you have tasted, smooth filling studded with hidden Iberico jewels. It’s just all so good. And whatever you do, keep an eye on any of the daily specials. Changing regularly in line with what produce they receive/can get their hands on, there are some stand outs which are just not to be missed. 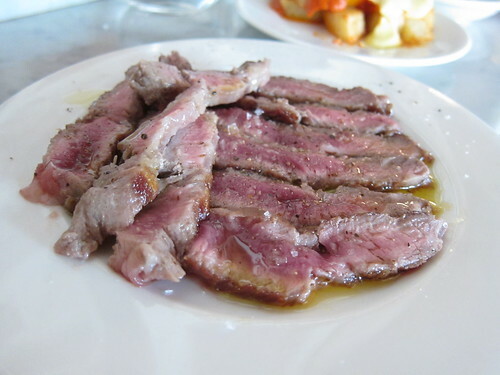 Take the pluma Iberica for example, slices of rare pork from the Iberica pig. Yep, rare pork, challenging for some, but if you consider that these animals are the best you can get, there really isn’t that much cause for concern and you will be handsomely rewarded. The meat is sweet and tender, melting in your mouth like a perfectly succulent steak, just imparting a slightly more mellow porky flavour. All this and add a rather extensive sherry list, you have all the hallmarks of an excellent restaurant. And that is what it would be if it wasn’t for the hordes of people in your elbow space, all trying to secure some precious real estate to place your multitude of little plates. The thing is, when the food is this good, I can get over my annoyances and just hunker down. Over the past few months, I have seen myself returning over and over again to eat Jose Pizarros food, and that doesn't happen often in Londons growing restaurant scene. And you know what, I don't think I even mind queuing or standing any more. Especially when I know I will be rewarded. 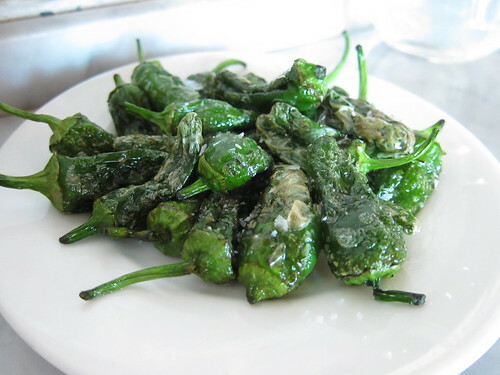 I recently went to Jose Pizarro's restaurant up the road and loved it so much. I would love to try out the tapas here too and can understand what you mean about the bar. When I walked past it was more than heaving but I think it is one of the few places where the food is so good, you just have to go with it. Rare pork, must try. Looks incredible! God that pork is amazing - soft, tender, nutty. Just blinking gorgeous. Anyone know where you can source such as thing (raw iberico)as would love to cook it at home! I'm glad you've changed your tune :) THAT JAMON. Drool. Wow, that jamon looks divine! I don't care how talented the chef or how good the quality of the meat, eating undercooked pork can still, potentially, impart the vile Trichinosis. Some food trends are fun and interesting, rare pork is just silly. Just went this week. Dessert's usually their weak point, but this time they had a chocolate pot with salt and olive oil that made me grin like an imbecile. @ Laura - I like Pizarro, but I much prefer the concept of many dishes to share as opposed to a starter and a main approach. hence, Jose is perfect for exactly this kind of meal and the menu is always fresh so you end up never orcering the same meal twice. @ Anon - Sadly no, but always worth giving Brindisa in Borough a shout. @ Becs - Love me a bit of pork. @ Anon - I'm sure your point is valid, but I have been assured that the breeding and welfare of these pigs are done with the utmost concern to those who eat it. I'm sure they would not be serving it like this if it was a danger to those they serve it to. @ Wen - Pootle down to Pizarro for desserts. There are some very good ones there. The choc based ones especially.